We're back! Happy first Monday of 2014, everyone! I, for one, can't believe 2013 is over and with it the holidays. I swear, 2013 flew by! But here I am, back at work and in an incredibly cold Big Apple. I did start the new year with a great Saturday - lunch at Lafayette with Victoria, Liz, and Lauren and a quick visit to the new Club Monaco flagship store on Fifth Avenue. The new store is absolutely incredible and the sale they're having made it even more amazing (check it out here and use code WINTER40 to receive an additional 40% off all sale items!) And to keep warm while braving the freezing cold outdoors I've been sporting my very old Joie puffy coat and my snuggly fur scarf. I swear, New York has never been colder! What's up with these temperatures?! Happy new year! Puffy coat is the way to go in this weird weather we have been having! 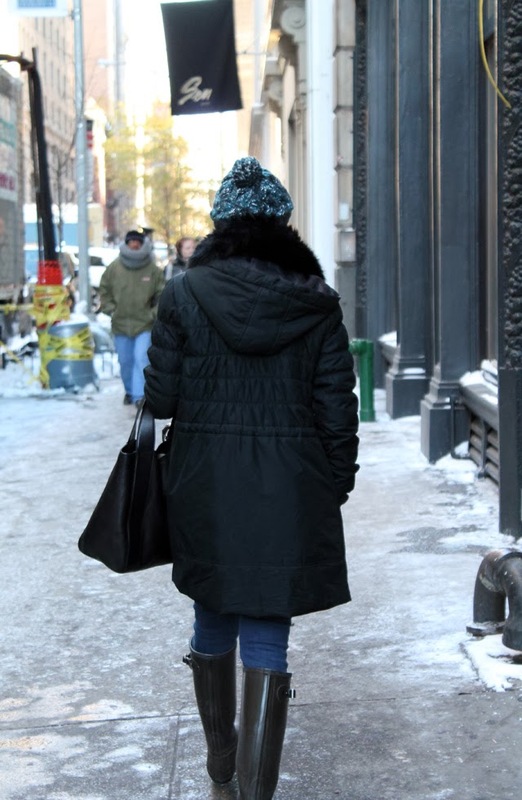 That coat looks so cozy and warm...essential for this crazy weather! Adorable look! I love that hat on you. I've been living in my Hunters lately! Viv! You look so cute! Love your hat too! :) Happy New Year! You look amazing. 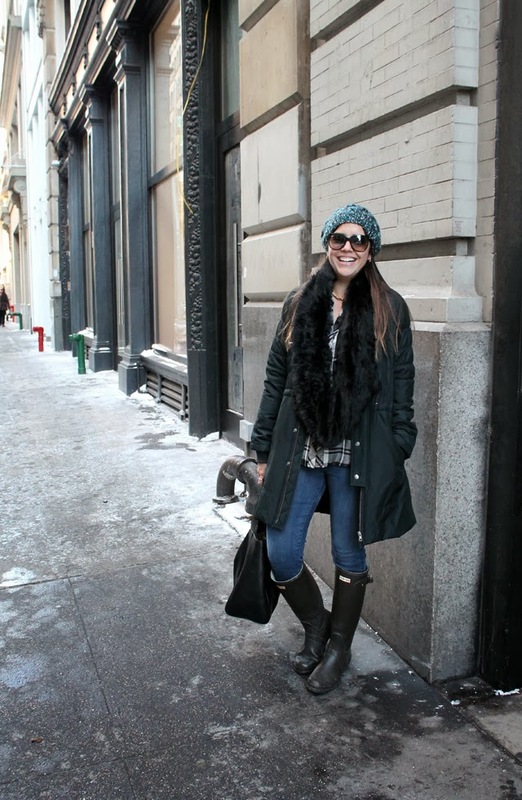 I love the rock star sunglasses and the Hunter boots. Love the Hunters and plaid! that coat is gorgeous! such a pretty, rich color! Love it!! You look so snuggly and warm. I can never have enough plaid shirts. 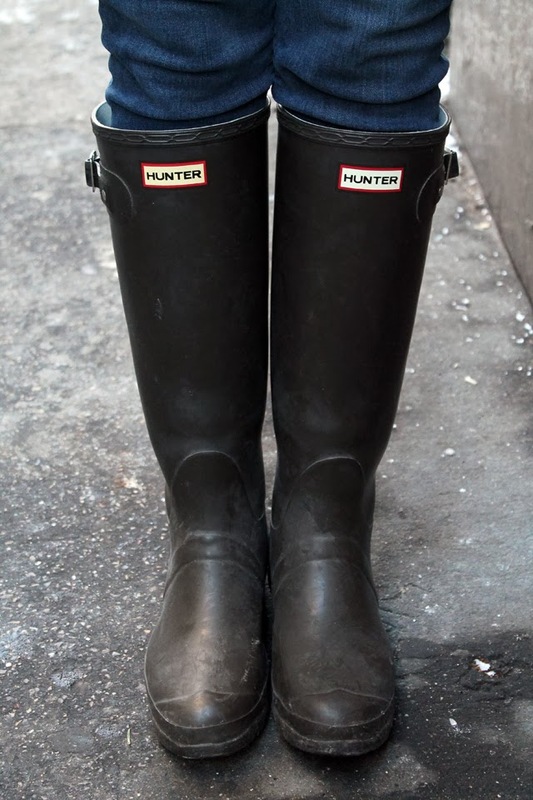 Love your Hunters! 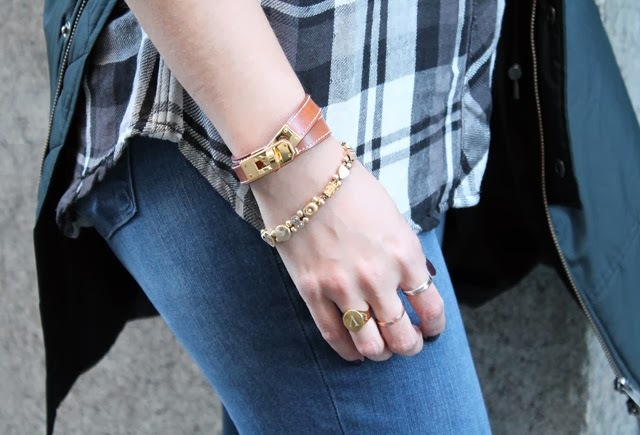 I've got mine on my blog today too! Stay warm! Happy 2014!!! You look so cute! Love the coat! The color is perfect. Such a pretty color for a coat! I still can't believe 2013 is over...time flies way too fast!